These salt pans at Pedra de Lume on Sal are in a volcanic crater. Apparently the crater floor is at sea level and the salt water seeps through naturally. 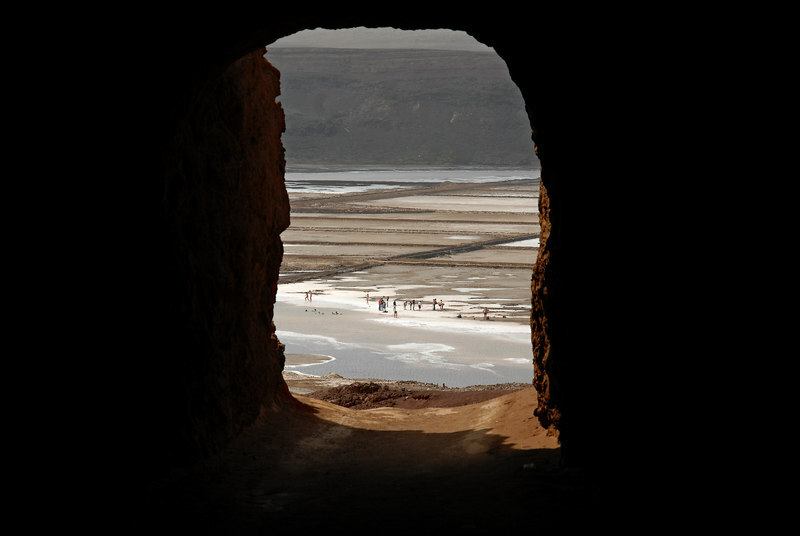 The tunnel was dug in the 19th century for the mules that had formerly carried the salt over the rim of the crater.